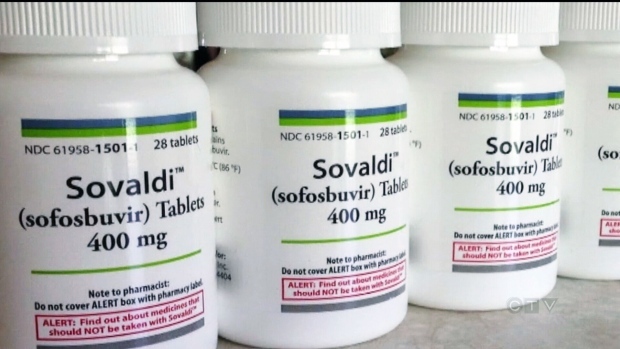 Drugs used to treat hepatitis, including Sovaldi, pictured above, and the newly approved Epclusa have been shown to be remarkably effective. But they come at a high cost. Epclusa will cost about $75,000 for a 12-week course. Health Canada has approved a drug being touted as a cure for hepatitis C, a disease believed to have infected hundreds of thousands of Canadians, many of whom are unaware they harbour the virus. The drug, sold under the brand name Epclusa, is a once-daily pill taken for 12 weeks that can rid the body of all six strains of hepatitis C, a blood-borne virus that can lead to severe liver damage and liver cancer if left untreated. 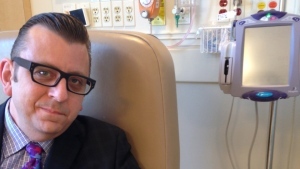 "This is really a cure," Dr. Jordan Feld, a liver specialist at Toronto Western Hospital, said of the medication, also known by its generic chemical designation sofosbuvir-velpatasvir. One catch, though: Epclusa is expensive. In the U.S., the drug costs US$900 a pill -- or almost $75,000 for a 12-week course. Two other hepatitis C drugs also made by Gilead Sciences Inc. and already approved in Canada -- Harvoni (genotype 1) and Sovaldi (genotypes 1, 2 and 3) -- also carry hefty price tags: the cost of an eight- to 24-week regimen of the antivirals ranges from C$69,000 to $110,000, although several provinces have joined together to leverage their buying power to negotiate better prices. Still, Feld insists the newly approved drug is a "huge advance" in hepatitis C treatment. 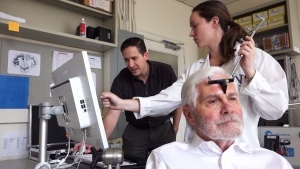 In a pre-approval clinical trial conducted by researchers led by Feld and published last November, 99 per cent of 624 patients given the drug were virus-free after three months. The study looked at patients infected with one of five strains, or genotypes, of hepatitis C -- 1,2,4,5 and 6. A second study of genotype 3 -- an aggressive form most commonly found in people of South Asian descent -- found the drug was effective in at least 90 per cent of cases, Feld said. Previously approved treatments for chronic hepatitis C infection are not equally effective in combating the virus' different forms. Testing to determine the particular genetic strain is required before treatment can start. As well, different drug combinations are required depending on whether a person has already developed cirrhosis or has certain other medical conditions. Feld said because the combination of sofosbuvir-velpatasvir has been shown to work on all strains of the virus, it eliminates the need for such testing, which often delayed treatment and can be difficult to access for those living in rural or remote regions of the country. "It's important because if we're going to address this at a public health level, we need to get (more) people, particularly primary-care physicians and even nurses, to start treating," he said Wednesday. "And I think this is the first step to really making that feasible." Having the one-size-fits-all drug also means patients unable to easily access large urban health centres may not need to see a specialist in person. "I can now help a family doctor or even a nurse up in northern Canada somewhere treat the person locally," Feld said. "They never need to see me, and the treatments are getting simple enough that it's really straightforward and works for all populations." For instance, he is working with a health-care group in Sioux Lookout in northwestern Ontario to provide treatment to the largely First Nations population, which has rapidly spreading rates of hepatitis C due to high levels of injection drug use. Hepatitis C is primarily transmitted through shared needles by IV drug users, contact with poorly sterilized medical equipment, and blood transfusions prior to 1992, after which all donations were tested for the virus following Canada's tainted blood scandal. An estimated 250,000 to 400,000 Canadians are estimated to be infected with this "silent killer," which can take decades to manifest symptoms of cirrhosis, including swollen legs and abdomen, and the yellow skin, eyes and urine related to jaundice. It's believed more than half of those infected are unaware and undiagnosed, said Feld, noting there's a big public health push to get people born between 1945 and 1970 -- baby boomers, essentially -- to get tested for the virus. "I can't stress enough the importance of getting people out to get tested for this," he said. "We have a cure, but we can't cure people we can't diagnose." Dr. Morris Sherman, chair of the Canadian Liver Foundation, said Canada and other countries have committed to eliminating hepatitis C by 2030, but to accomplish that goal treatment rates need to be significantly boosted. "Having a therapy that works for all genotypes will make treatment easier for both patients and physicians to manage," Sherman said in a statement. "But it must be accessible, regardless of where someone lives or their ability to pay."